The Hancock County Spelling Bee, February 12 at Penobscot Community School, produced a champion speller, sixth grader Rebecca Aponte, a Blue Hill home schooler, with Penobscot eighth grader Mason Perkins as runner up. 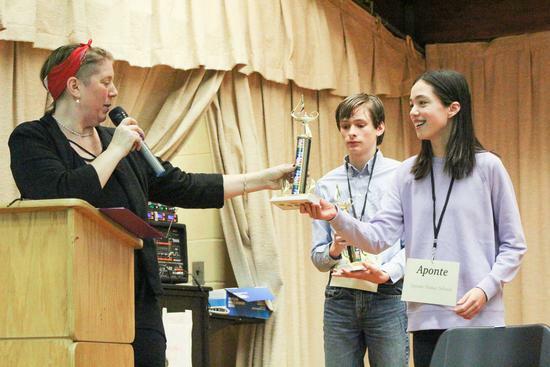 In the trophy presentation, Bee Master Chandra Bisberg honors Rebecca Aponte of Blue Hill as winner and Mason Perkins of Penobscot as runner-up at the Hancock County Spelling Bee February 12 in Penobscot. 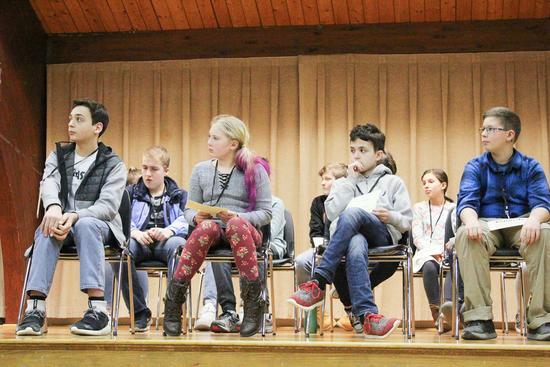 Contestants in the Hancock County Spelling Bee wait their turn to advance or be eliminated on February 12 in Penobscot. 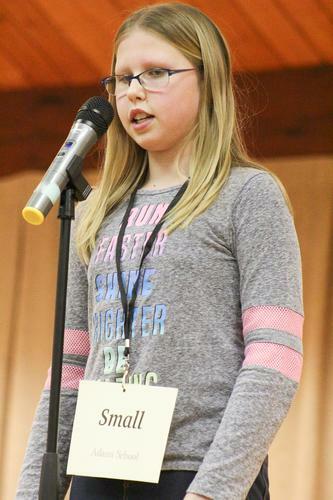 Castine sixth grader Annelise Small spells her way through several rounds at the Hancock County Spelling Bee February 12 in Penobscot. 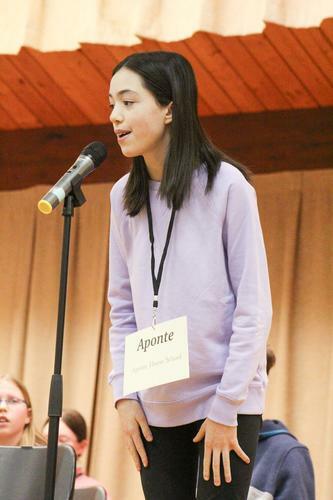 Sixth grade home-schooler Rebecca Aponte of Blue Hill won the Hancock County Spelling Bee February 12 at Penobscot Community School, and will compete at the Maine State Spelling Bee March 23 in Portland.